The UCL Institute for Innovation and Public Purpose (IIPP) have received a £1 million donation from leading investment management company Baillie Gifford. The donation from leading investment management company Baillie Gifford will allow IIPP to kick-start activity around mission-oriented innovation over the next five years. This will include a Masters in Public Administration beginning in Autumn 2019 and a public lecture series in collaboration with the British Library beginning in April 2018. IIPP recently launched a new global network to drive a mission-led approach to tackling urgent societal challenges, and a new commission on Mission Orientated Innovation and Industrial Strategy (MOIIS) directing the UK Industrial Strategy towards missions, both made possible thanks to the donation from Baillie Gifford. Missions aim to inspire people by solving some of the biggest challenges society faces from climate change to inequality, driving collaboration across different industries and organisations in both private and public sectors. “A key lesson is that missions require more active policy making – market shaping rather than the traditional market fixing that mainstream economists are wedded to. Missions have to be bold and activate innovations across sectors, actors and disciplines. They harness and direct the power of research, not only to stimulate economic activity and growth, but also to find tangible solutions to the most pressing challenges of our time. Professor Mazzucato has advised a number of international governments, and most recently was invited by EU Commissioner for Research, Science and Innovation Carlos Moedas to submit a report as part of a process to shape the post-Horizon 2020 EU research and innovation framework programme, expected to be worth at least 100 billion euros. The report, Mission-Oriented Research and Innovation in the EU, gives examples of missions that could be mounted to stimulate research and innovation, including a vision for plastic-free oceans, halving the progression of dementia within 10 years, and working towards 100 cities reaching a net zero greenhouse gas emissions balance by 2030. 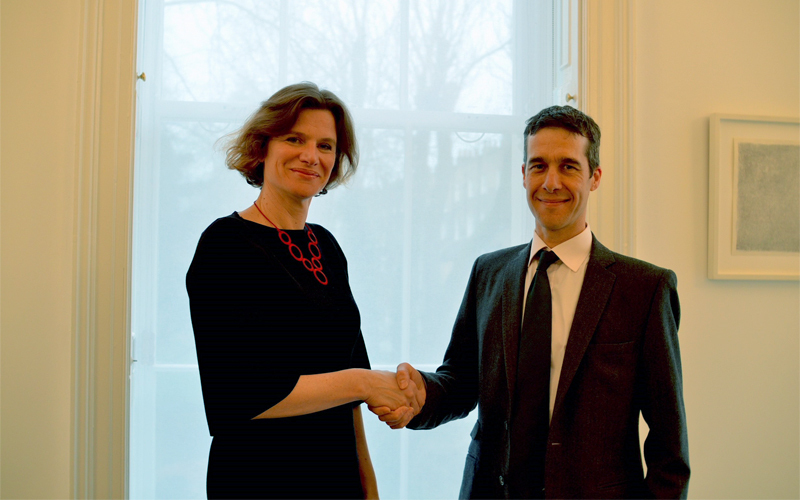 The UCL-IIPP Commission for Mission Oriented Innovation and Industrial Strategy (MOIIS) is co-chaired by Professor Mariana Mazzucato and Lord David Willetts, and had its first meeting on 6th March, which was attended by Greg Clark, Secretary of State for Business, Energy and Industrial Strategy. It will use mission-oriented thinking to transform the Grand Challenges outlined in the UK Industrial Strategy into tangible 'missions'. The new Mission Oriented Innovation Network (MOIN) was launched on the 12th March and has over 25 global partners including state investment banks, innovation agencies and other public, private and third sector organisations, with the ambition to bring public purpose and innovation into the centre of government machinery. The work of MOIN will inform the development of the new Masters in Public Administration, which will focus on building capacity to innovate in public sector organisations. IIPP is also launching a lecture series at the British Library to engage the public with its ambitions around rethinking public value and purpose. The series will be kicked off by IIPP Director Mariana Mazzucato and British Library CEO Roly Keating, and will see speakers such as Richard Rogers, Brian Eno, Amande Levete and Jayati Ghosh take the stage.